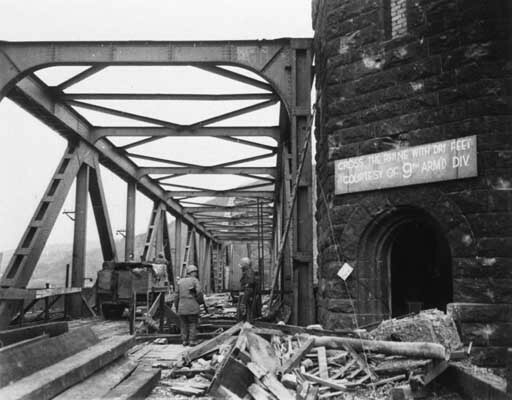 The sign erected by the 9th Armored division on the Ludendorff bridge after its capture. March 11, 1945. US Army Signal Corps photograph taken by W. Spangle.